Pomegranate & Rooibos Conditioner is carefully blended to moisturise and soften every strand from scalp to tip, leaving hair looking sleek and glossy. This revitalising and regenerating conditioner helps to provide hydration even for dry and brittle locks. 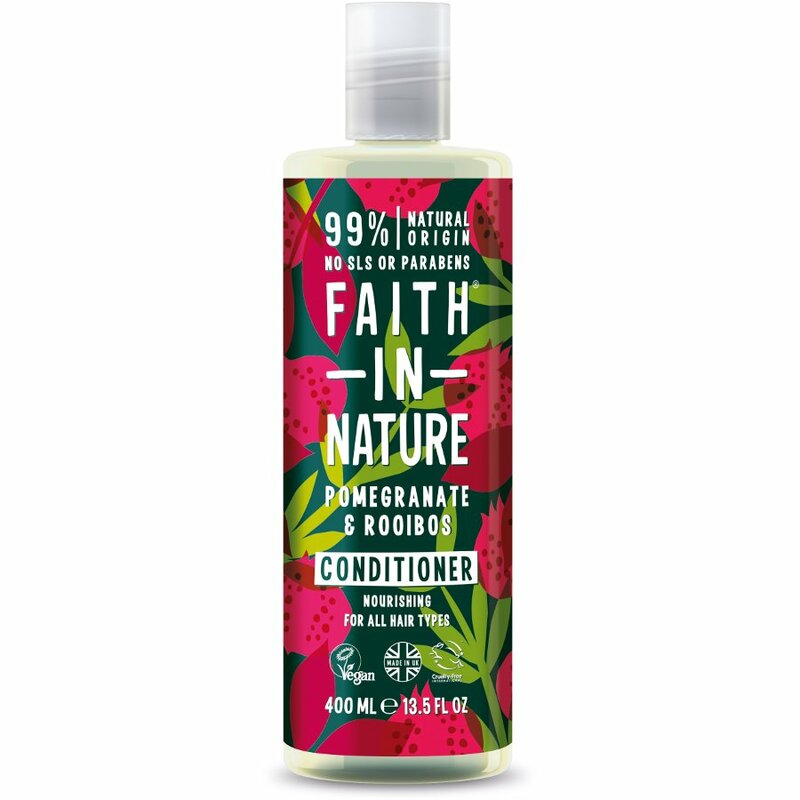 Follicles are awakened and the free radical scavenging, anti-oxidant properties of the Organic Pomegranate and Rooibos extracts give radiant, healthy looking hair with a delicious but subtle fragrance. 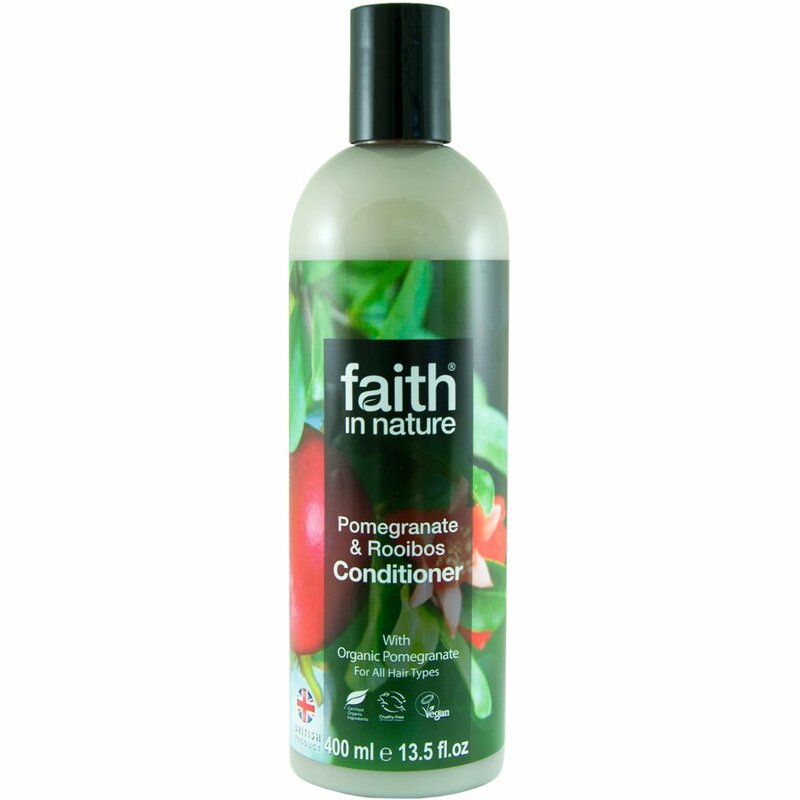 There are currently no questions to display about Faith In Nature Pomegranate & Rooibos Conditioner - 400ml.